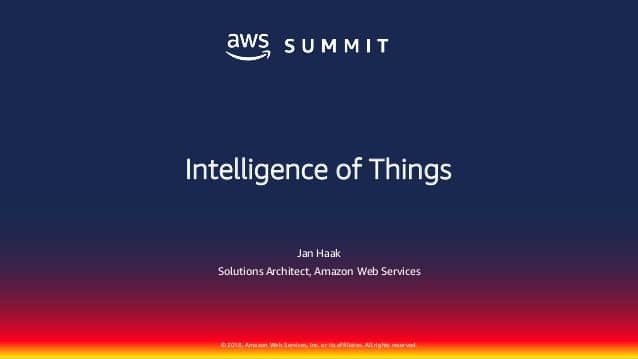 Amazon Web Services Inc. is taking steps to raise the availability of third-party software and hardware relating to application containers and the “internet of things” on its cloud infrastructure platforms. Application containers are an important area of focus for Amazon due to the advantages they provide for developers. They enable developers to build software apps that can be run in isolation on any computing platform without making changes to the underlying code. Containerized apps can also be updated much faster, providing greater agility to organizations that use them. The popularity of containers means it’s in Amazon’s interest to make such tools more accessible on its cloud infrastructure, and with that in mind it’s adding a glut of related products to the AWS Marketplace. At its re:Invent customer conference today, the public cloud giant announced the availability of 160 new “trusted” container products that can be quickly and easily deployed on its Amazon Elastic Container Service and Amazon ECS for Kubernetes services. The products include offerings from companies such as Aqua Security Software Ltd. and CloudBees Inc. and cover categories including developer tools, high-performance computing and security. By offering them through the AWS Marketplace, Amazon makes it easy to set up and deploy these offerings, with the costs being tacked onto customer’s monthly AWS bills. In addition, Amazon is adding a new feature called the AWS Private Marketplace. The idea with this is that companies can create an approved list of software that aligns with their individual policies, which can then be purchased by their employees as needed. Amazon is also extending its Amazon Partner Network Program to make it easier for third-party software companies to validate their products on its cloud infrastructure. The new AWS IoT Service Delivery designations are designed to help customers identify related software and services that have been certified to run on its platforms. So pretty much anything on the list should be pre-optimized and easy to set up and run out of the box. The AWS Device Qualification Program meanwhile is a similar designation for providers of IoT devices and hardware. Customers can rest assured that anything on this list has been authenticated and validated for interoperability with AWS IoT services including IoT Core, AWS Greengrass, Amazon FreeRTOS and Amazon Kinesis Video Streams. The Device Qualification Program isn’t new, but what Amazon is doing is making it easier for third parties to validate their hardware. Previously, this entailed those companies physically shipping their devices to Amazon for certification. Now, Amazon is making available a new IoT Device Tester qualification tool which can be downloaded and used to validate IoT hardware. Once approved, each hardware product will then be added to the AWS Partner Device Catalog. Finally, Amazon is adding a new “Container Competency” to its AWS Competency Program, which designates trusted partners that are qualified to help customers manage these kinds of workloads. Most of the big hitters in the container world are already on the list at launch, including the likes of Canonical Ltd., Docker Inc., Mesosphere Inc., Red Hat Inc. and SUSE.